← Naples, Florida. May 31st, 2012. Guilin, China. June 10th, 2012. 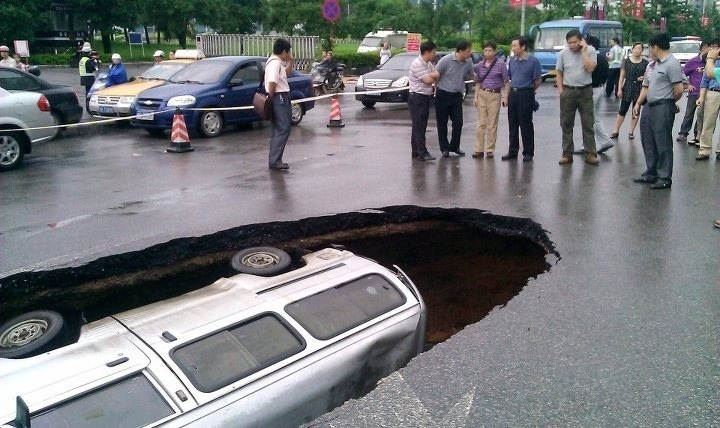 A sinkhole engulfed a minibus Thursday morning in Guilin, south China’s Guangxi Zhuang autonomous region, injuring the vehicle’s driver. 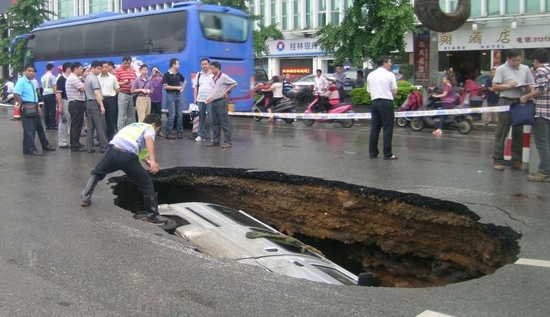 The incident was a geological disaster that happened around 4 a.m. on Fuxing Road in the city’s Qixing district. 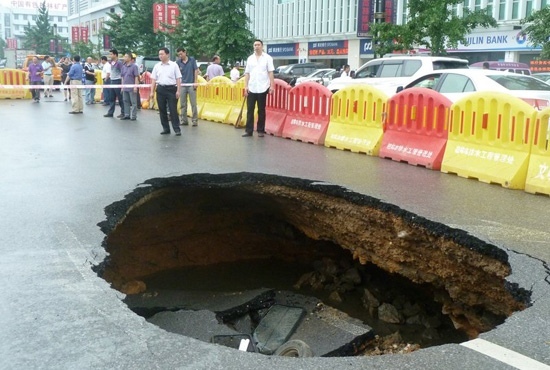 It left a big hole which is 4 meters long, 2.5 meters wide and 2 meters deep. The driver, the only person in the minibus, was being treated in hospital. 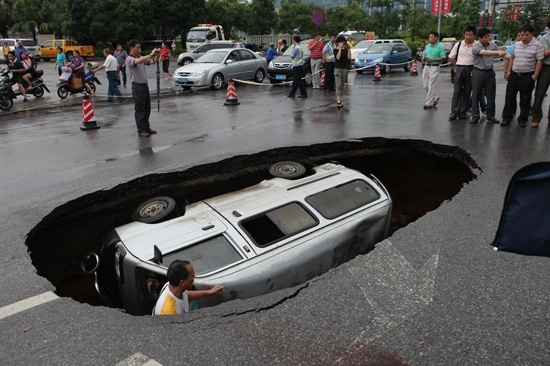 This entry was posted in Pictures, Vehicle v Sinkhole and tagged sinkhole, vehicle. Bookmark the permalink.